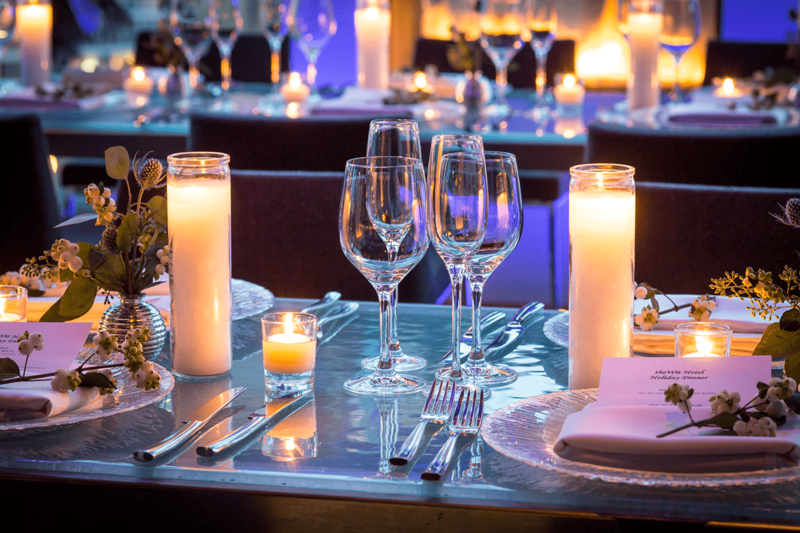 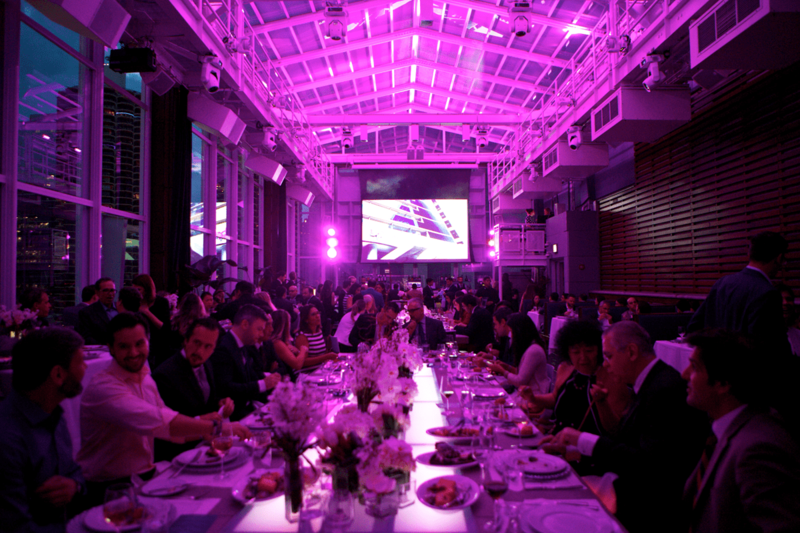 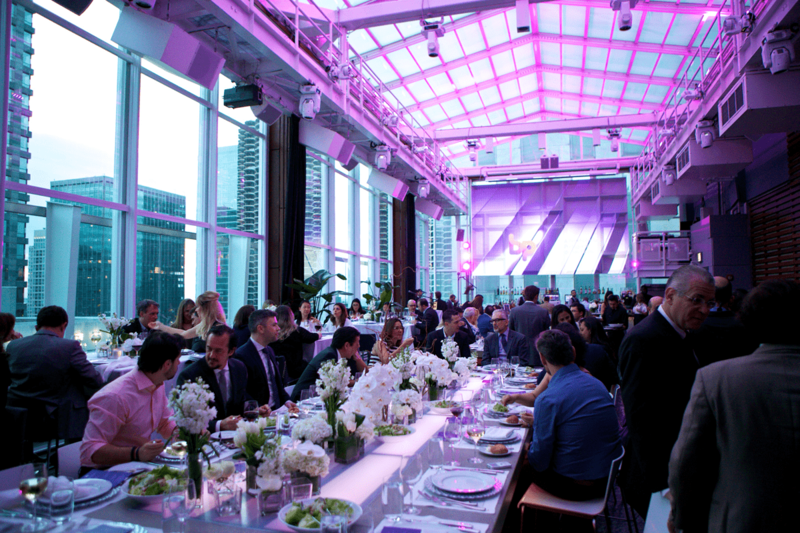 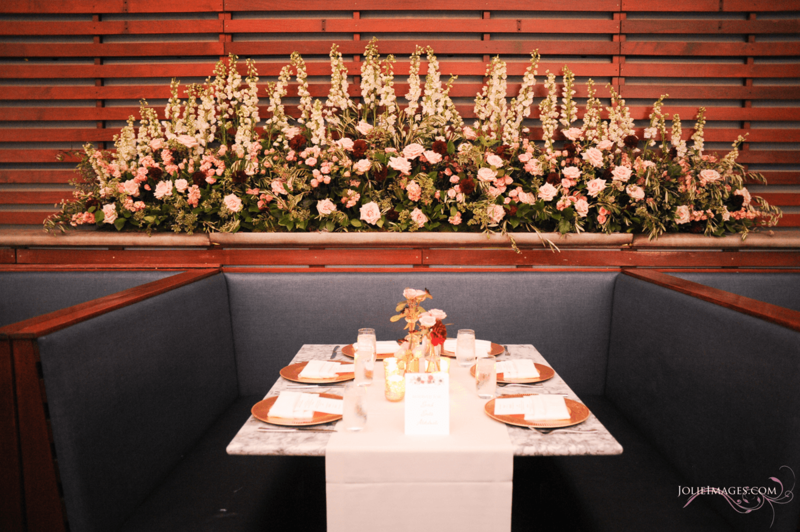 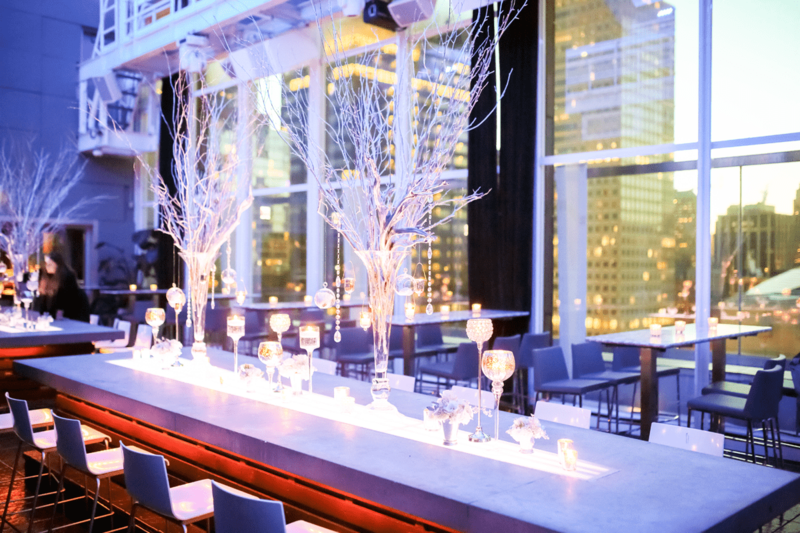 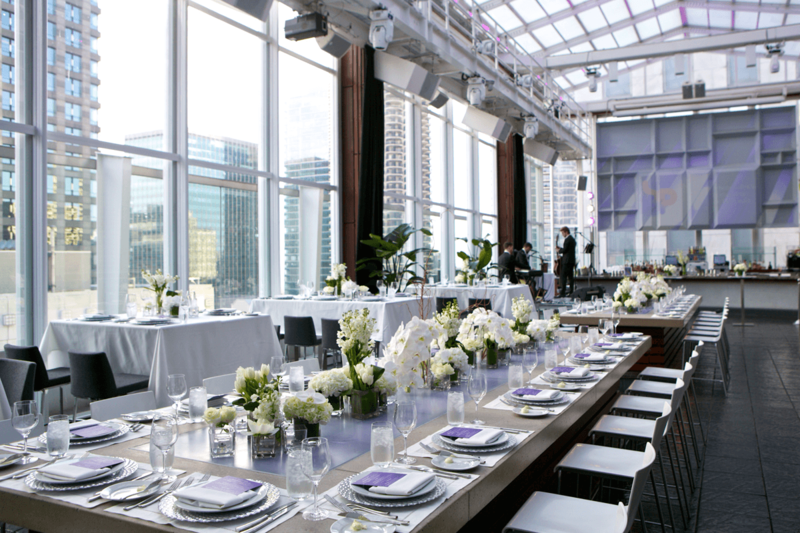 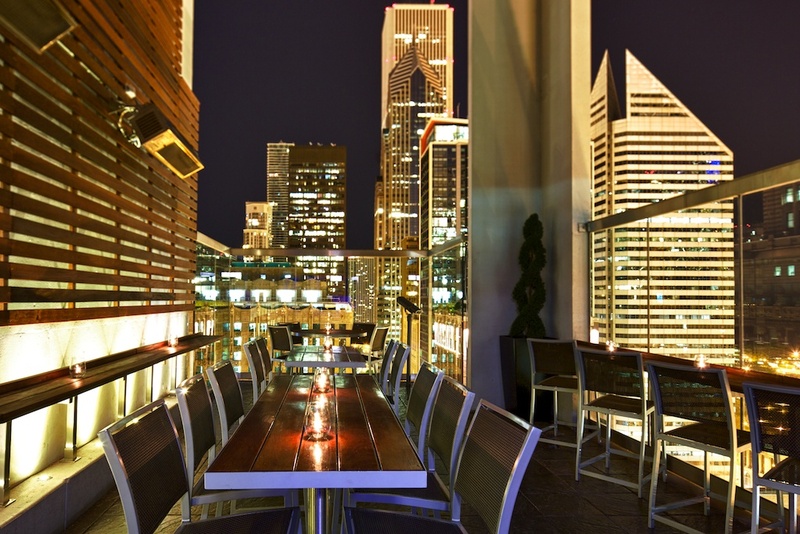 Host an unforgettable event at ROOF. 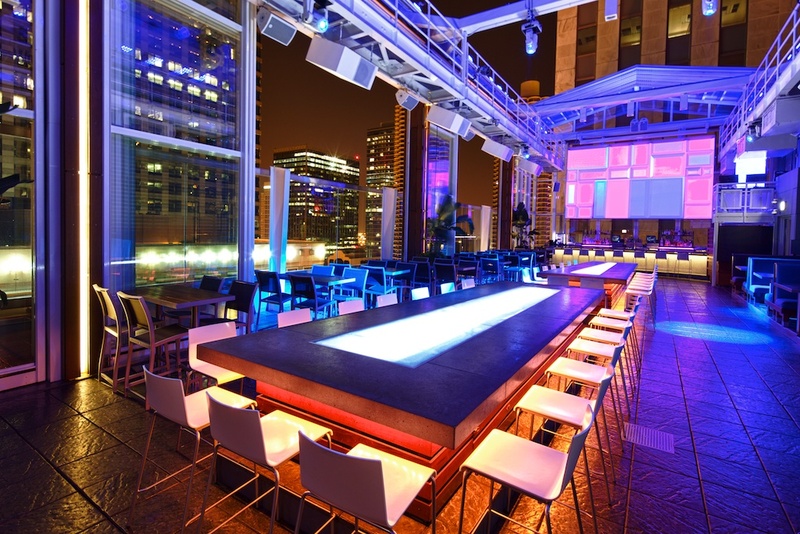 Rated one of the “Top 3 Rooftop Bars in the World” –Travel+Leisure, ROOF offers dramatic city views, floor-to-ceiling windows, a large 3D video mapping wall with state-of-the-art audio equipment, on-site production managers to create special visual effects and award winning chefs. 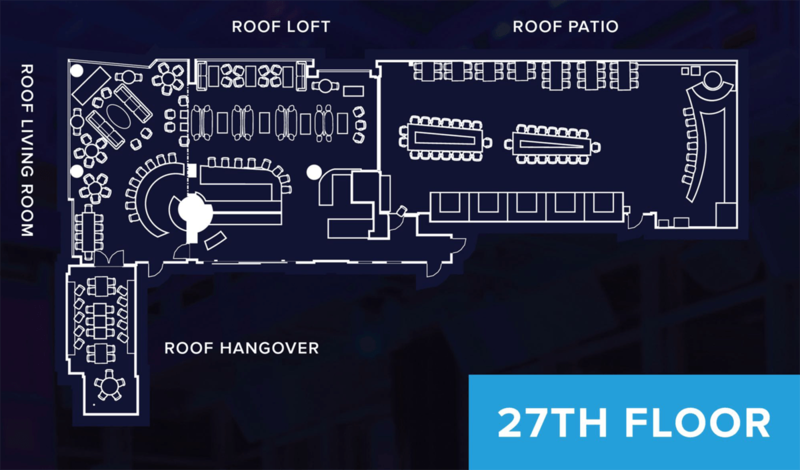 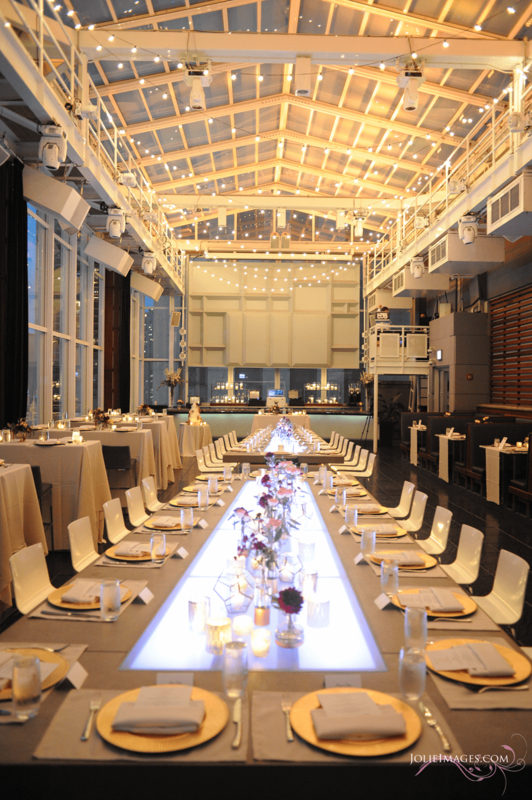 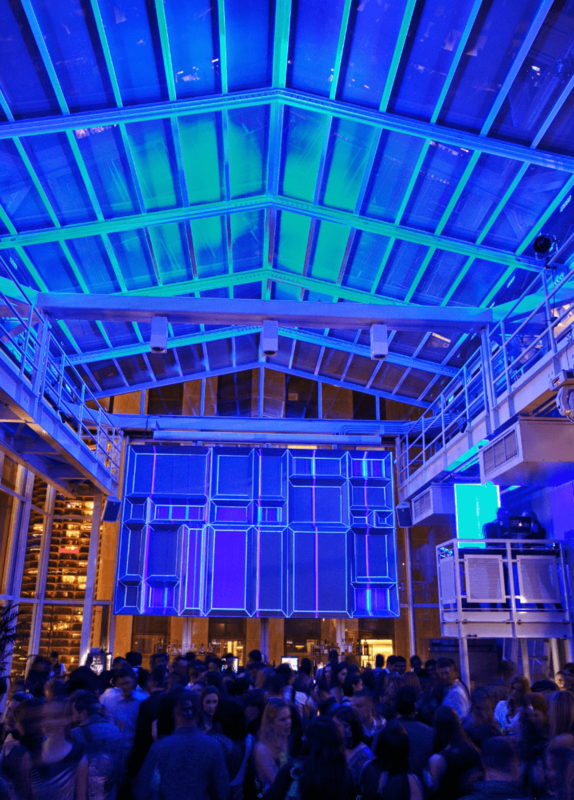 Our 7,000-square-foot indoor/outdoor downtown Chicago venue features a retractable ROOF and a space that is climate controlled, making ROOF accessible all year-round. 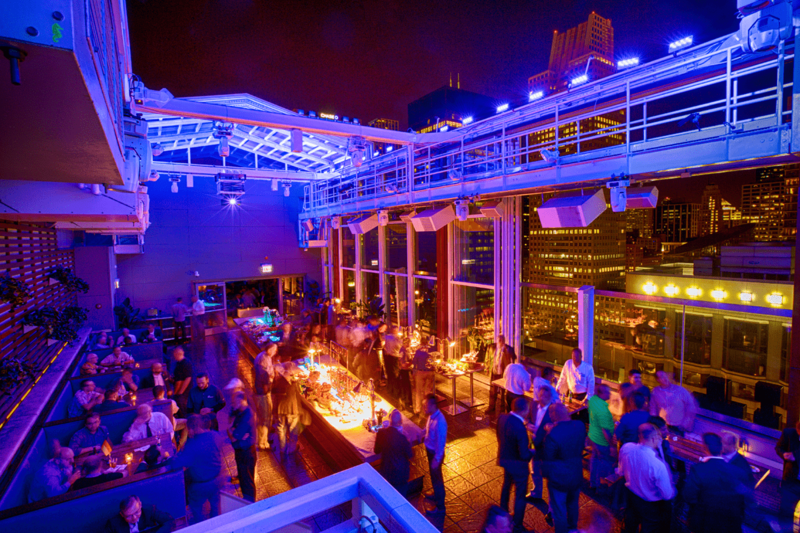 Year-round open-aired patio with retractable roof, 3D video mapping wall, and views of State Street and the Chicago River. 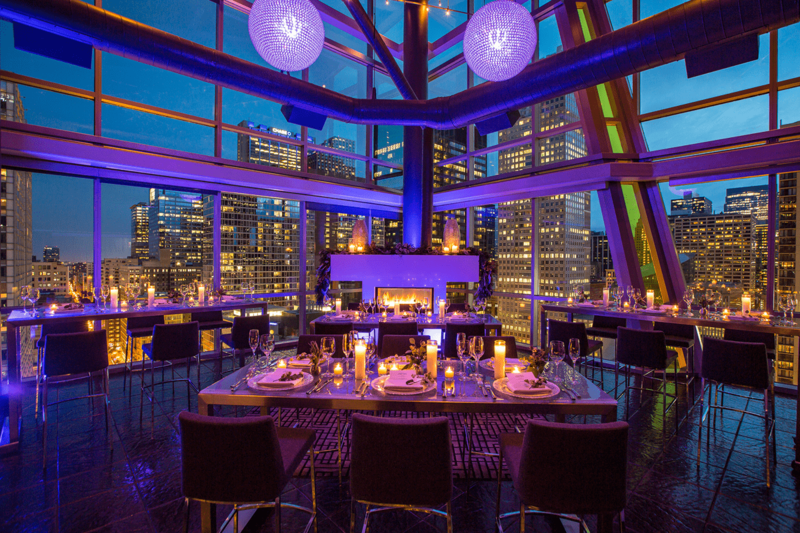 Outdoor platform suspended 27 stories high and surrounded by glass windows. 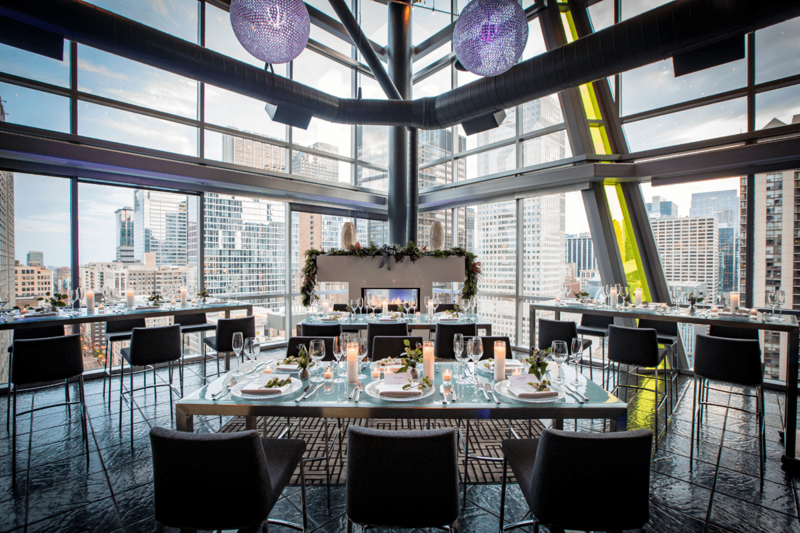 Features views of Millennium Park and Lake Michigan. 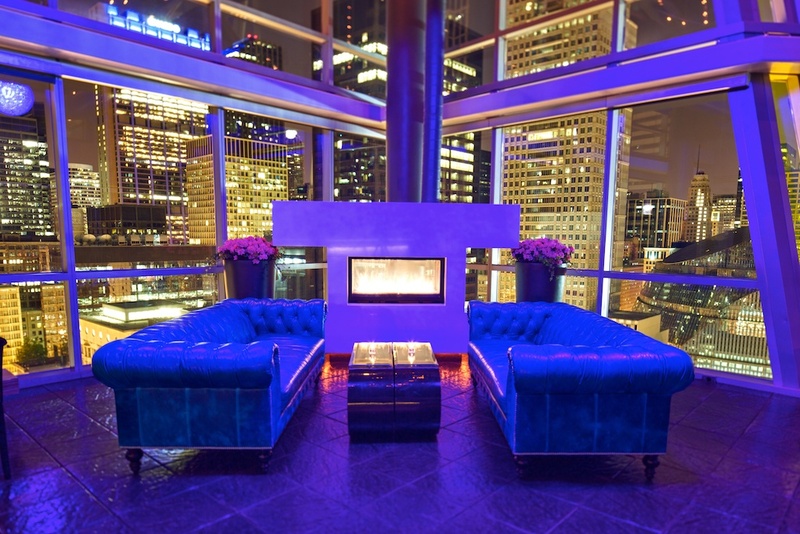 Indoor stylish corner space with floor-to-ceiling windows featuring views of The Chicago Theatre, a fireplace and two Cheshire couches. 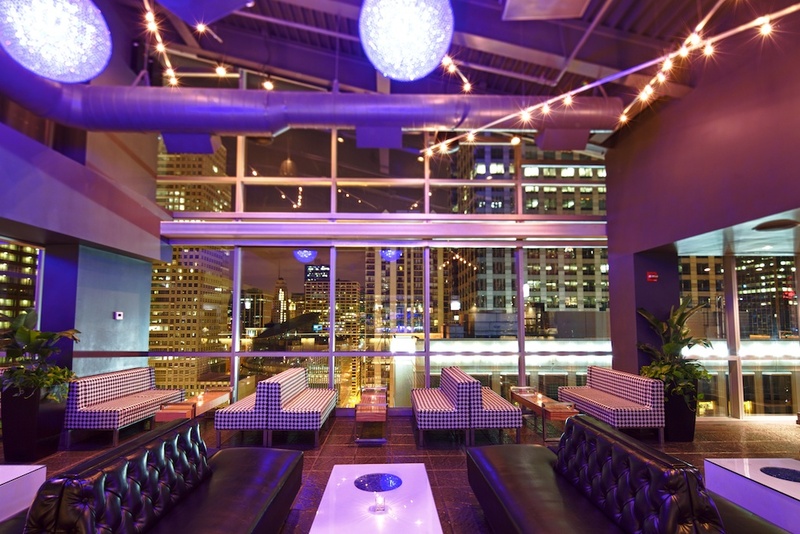 Modern indoor space with communal tables, indoor bar and floor-to-ceiling windows overlooking State Street. 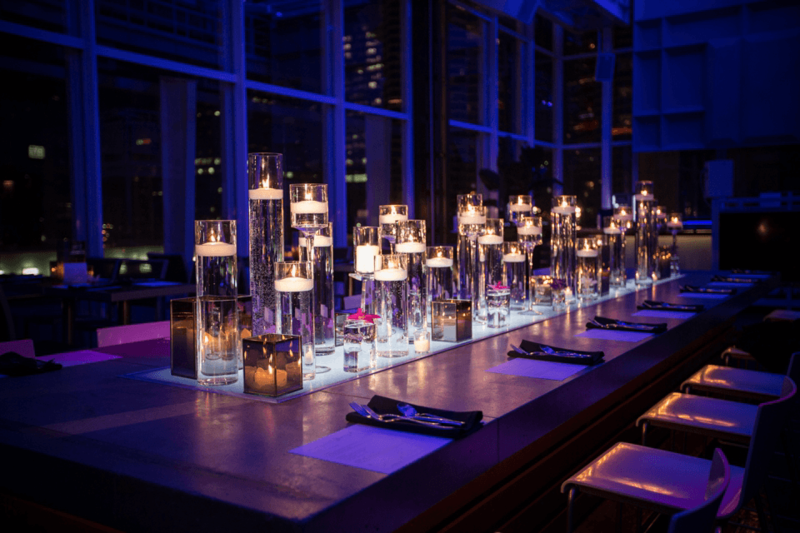 Bookable in connection with Living Room or separated by a partition.